There is a debate going on whether the single flush or dual flush toilet is better. Some people prefer the single flush toilets because of its simplicity, whereas some other people prefer the dual-flush toilets because it saves huge water. I will try to explain and differentiate both of these toilets in simple words. Whereas any standard toilet uses 1.6 GPF of water, any super water saving toilet uses only 1.3 GPF of water. These super water saving flushing toilets are also called High Efficiency Toilets or most commonly known as HET for the shorter version. There are many High Efficiency Toilets in the market like TOTO toilets. Both the single flush and dual-flush toilets can be HET. Modern single flushing toilets use 1.28 GPF and they are most easy to operate. Why? Because there is only 1 lever for the flushing mechanism, so there is no chance of confusion. Dual-flushing toilets have 2 options. There is a ‘half volume’ and ‘full volume’ flush mechanism. The full volume uses 1.6 GPF, so on an average dual flush toilet also use 1.28 GPF. So, many people who prefer the single flush toilets say that there is not much difference in terms of water saving between the two. I would say they are wrong and I will explain why. I will explain why still the two types of toilets are popular. Some people believe whether you should go for the dual flush or single flush toilets totally depends on the number of people who will be using the toilet. If there are only 1 or 2 people in the family who will be using the toilet, go for the dual-flush toilet. But if several people will be using the toilet frequently, go for the single flush toilets. You don’t want your guest who is unfamiliar with dual-flush toilet pressing the wrong button. 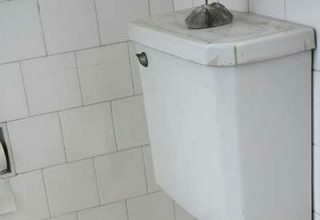 In addition to the above differences I mentioned above, there are some other differentiating factors between the two types of toilets that you should know. In older homes, you find single flush toilets mostly. But in newer homes, dual flushing toilets are the new craze. The reason is simple & I have mentioned it above. Family Members! Newer homes normally have fewer family members than the older homes. For liquid and solid waste, there is only one mechanism in the single flush toilet. But in dual flush, there is two flushing mechanism for these 2 types of waste. In homes and workplaces, single flush toilets are most common, so you will find any replacement parts easily than the dual-flush toilets. Single flush toilets often come with a lever which you can easily change as per your choice. But dual-flush toilets come with 2 buttons which is not easily replaceable. 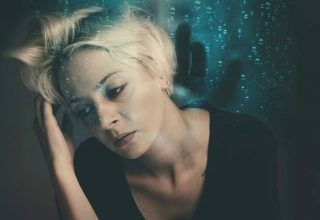 Several experiments have shown that single flush toilets consume much water than their dual flushing toilets counterparts. Hence, dual-flush toilets are considered to be more environments friendly. Since dual-flush toilets use less water, they charge you less monthly water bill as well. For natural reasons, dual-flush toilets are costlier than their single flush toilets counterparts. But think about the reduced monthly water bill of the dual flush toilets as well. In 1992, the Energy Policy Act (EPA) was passed. Under this act, every flushing toilet must follow the maximum consumption of water with every flush at 1.6 GPF. Manufacturers of toilets have been working with the EPA for so long to conform to the law. 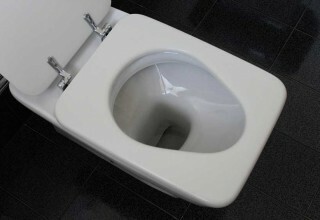 Single flush toilets used to be the most popular option for so long time. But a few years back, dual-flush toilets came in the market. After much struggling, dual-flush toilets are now popular as well. People are becoming more environmentally conscious, so they started to like dual-flush toilets more and more. The ‘half volume’ option of the dual flush toilets use only 0.8 GPF for liquid and semi-solid waste. This is a great water saving function. Only the ‘full volume’ mode of the dual flush toilets uses 1.6 GPF for solid waste. Environmentally conscious people always prefer the dual-flushing toilet over the single flush toilets. In 2006, the EPA act was supplemented by the government-regulated ‘WaterSense’ program where each and every flushing toilet has to use 1.28 GPF to earn the label. TOTO has some ‘WaterSense’ approved toilets in the market. If you are deeply concerned about saving water, you should look for the ‘WaterSense’ label on the toilet when buying a new one. 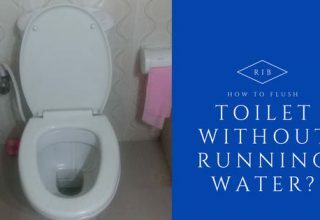 There are several ways to improve the water efficiency of your single flushing toilet. 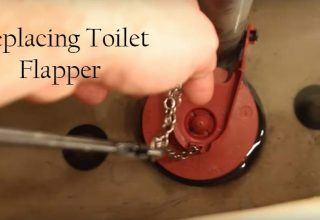 Just place something inside the cistern of the toilet so that it can’t be full of water. A PVC pipe or a plastic bag can do the job for you. There are several cistern converters in the market as well to make the single flush toilet water efficient. These converters are very much cheap but can significantly decrease the amount of water flushed with each flushing. Normally, these converters reduce the water usage by half of these single flush toilets. In modern says, the rate of single-family is growing day by day where there are only 2 or 3 family members. Taking into account the environmental effect of water saving, dual-flushing toilets are always preferable. So, if you plan to buy new toilets, go for the dual-flush toilets. But if you already have several single flush toilets installed, use the cistern converter to reduce the water usage. Previous article Can You Get Pregnant From A Toilet Seat? 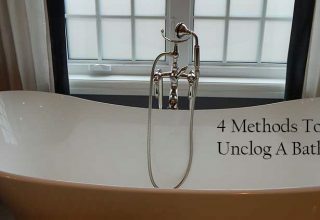 Next article How Much Does It Cost To Remodel A Bathroom?